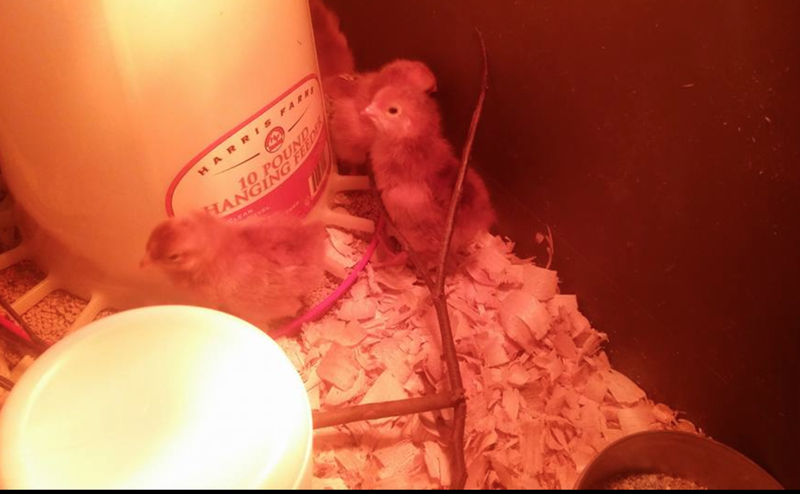 About a week ago we purchased six Rhode Island Red hens. We didn't purchase chickens for their adorability qualities, but for their total usefulness in the garden and for fresh eggs. BUT, they are adorable. They're considerable less messy and don't require quite as much work as the pekin ducks we purchased. Info: RI Reds live long, are suitable for eggs and meat production, are easy to care form and hardy in hot and cold climates. They aren't fussy eaters, but give them quality food so they'll stay healthy and live long. Our first batch of hens! Six little beauties. 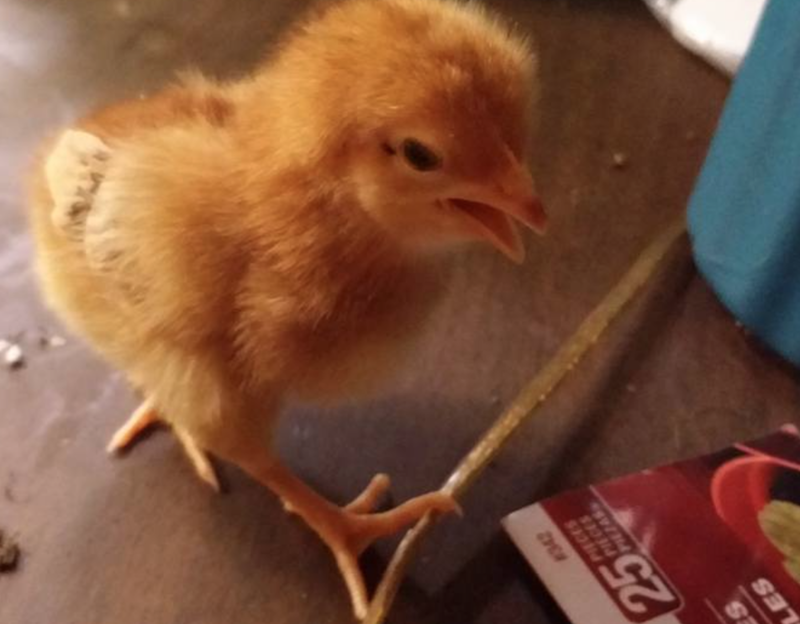 For starters I placed our chicks in a large plastic bin. I'd filled with pine bedding. Added a water bowl, a feeder, a bowl for grit (which they use as needed) and attached a heat lamp to the bin. That's it. Oh yeah...I places a few sticks and then honey bee frames in the bin for perching. Admittedly, being very new to this--I'm not sure when they need "perching" tools. I'll figure it out.